Home / Germany / From #Dresden to #Bavaria! Stop the New Police Law! From #Dresden to #Bavaria! Stop the New Police Law! Solidarity action in Dresden, Germany on May 10 for the people who protested against the Bavarian new police law in Munich yesterday. Originally published by DE Indymedia. Translated by Enough is Enough. From Dresden to Bavaria! Stop the New Police Law! Today (May 10, 2018) several demonstrations against the new police law will take place in Bavaria. In Saxony there is a campaign under the name “Saxony’s democracy / Stop the police law” against the aggravation of Saxony’s police law. In the framework of today’s day of action in Bavaria we send solidary greetings to Bavaria. 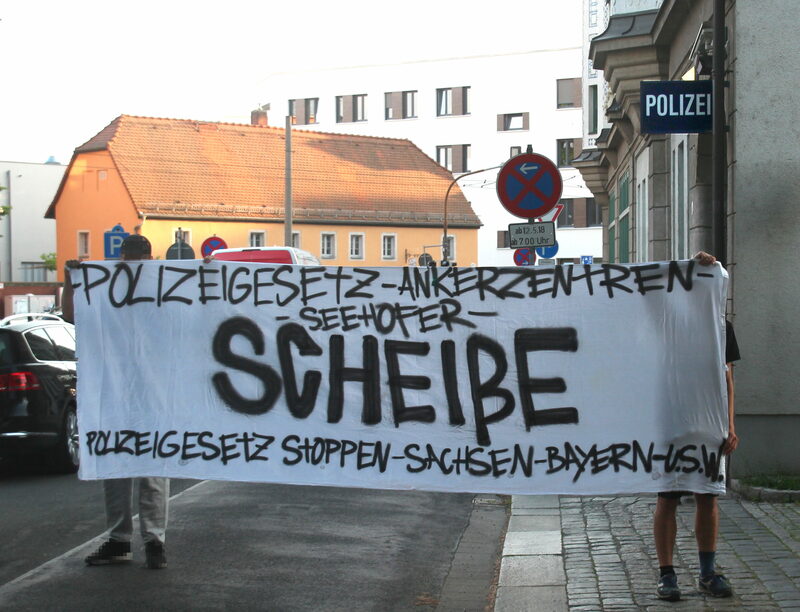 Together against the new police laws in Saxony, Bavaria and anywhere else!